Signs Showing That You Need to Redesign Your Restaurant Menu NOW! Being a restaurateur, what all comes to your mind while you look up to upgrade your restaurant experience? Or let's say if you are tired with the falling sales at your eatery, what all things come to your mind which you need to upgrade? You might say working on the infra and decor, adding more staff and expert chefs, and what else? Is that it? But let me tell you, you are missing something major to in it. If you are still using a paper menu, it's high time to make a switch today! Getting your paper menu redesigned and printed while you add new menu items is just not acceptable in this tech world. You need to save on costs you spend on designing and printing the paper menu and channelize your capital in a more smarter way. How? Making a switch to the digital menu, an automatically operated menu which handles your restaurant menu efficiently over a tablet. Yes! You heard it right! By now, you would be wondering that why do I need to use digital menu? Isn't it? So, here are some convincing points which directly indicates that it's high time to get your menu re-designed and make a switch to the digital menu. This would not only enhance your customer experience but rather it also streamlines your restaurant operations. So, let's dig deeper and get a closer view of it! Unpopularity of Some Items: Keeping the menu items which your customers no more prefer or are seasonal, but still are lying on your menu then you might be in danger. Keeping irrelevant things and dishes which are out of stock or are not preferred by people needs to be erased from your menu immediately. Low Profits: Despite the high sales and crowd of customers at your restaurant, if you still aren't getting profits, you need to analyze your reports and analytics thoroughly. Maybe you are ignoring a food category which customers never order and still, you are getting that food item prepared. Poor Customer Feedback: Putting in your best efforts don't end the game right here. You need to concern your customers too, what they feel and how they feel about your services and food quality. Getting their feedback over digital tablet can be one of the perfect ideas for you. Paper and printing expenses: Wasting so much money on getting paper menu designed, then printed, and then re-printing in case of future modifications is just not done in this fast world. 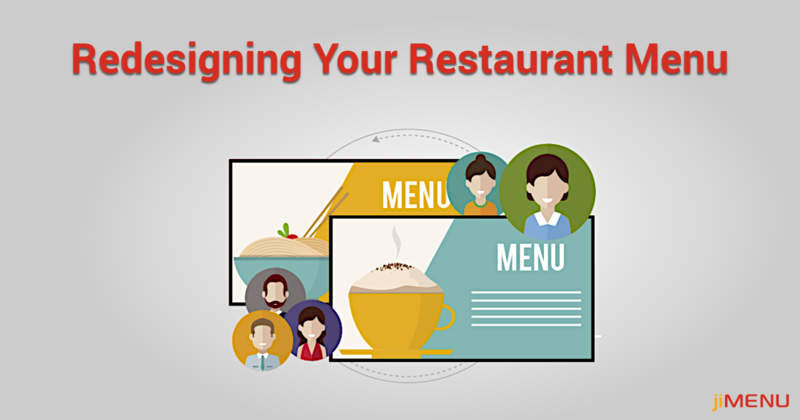 You need to get a digital menu which can take your menu over an automated platform. Want to take your restaurant menu to the whole digital form at the most affordable prices? You can count on us! jiMenu offers you a fully digital menu while assisting you to take your food business to the whole next level. Still not convinced? Get in touch with us and discuss your queries with our experts. We would be glad to hear from you!